NAPLES, Fla. (DATE, 2016) – The documentary film, Paradise Reef has received recognition from the Suncoast Chapter of The National Academy of Television Arts & Sciences, as the winner of the 2016 Suncoast Regional Emmy Awards in the Topical Documentary category. The winners were announced during an awards ceremony on Dec. 3 in Orlando. The Suncoast Chapter is the regional chapter of The National Academy of Television Arts & Sciences, representing the entire state of Florida; Alexandria, Baton Rouge, Lafayette, Lake Charles and New Orleans, Louisiana; Mobile, Alabama; Thomasville, Georgia; and Puerto Rico. The one-hour documentary film follows a visionary’s quest to secure BP disaster funds, rally community support and deploy 18,000 tons of concrete to create 36 artificial reefs along Florida’s Paradise Coast. Paradise Reef captures the mission and passion of attorney Peter Flood and Economic Recovery Task Force Chair, Diane Flagg as they led the citizen’s initiative to secure $1.3 million in BP disaster funds and bring together Collier County, the City of Naples and the City of Marco Island to support the artificial reef project. Through the funding received from the Collier County Tourist Development Council and private donations, the documentary film and project were completed without the use of taxpayer dollars. In order to raise awareness of the project and chronicle the efforts of the project supporters, the documentary film Paradise Reef was created. The film was produced by Pure Image Productions, a collaboration between executive producer and aerial coordinator, Capt. Harry Julian and executive producer and marine coordinator Capt. 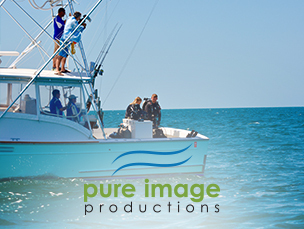 Lance H. Julian, co-founders of Pure Florida and Marine Team International, co-producer Barb Frederick, filmmaker and director John Scoular and line producer Madeline Scoular. WGCU TV served as the distributor and presenting station of the documentary film, with WGCU’s Barbara Linstrom as consulting executive producer of the film. Paradise Reef first aired on WGCU and WLRN TV in June 2016. The film features extensive underwater footage by world-renowned cinematographer Andy B. Casagrande, exploring the diverse habitat created by the reefs and offering a fish-eye-view of the life on the reefs one year later. 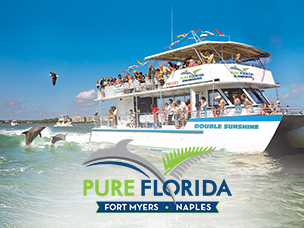 Through captivating aerial footage and in-depth interviews, the film also shows the symbiotic relationship between, and the natural beauty of the Everglades, the Ten Thousand Islands, the Gulf of Mexico and Collier County, Florida. The film also features interviews with Clyde Butcher, iconic Everglades photographer, Dr. Heywood Matthews, professor of oceanography and experts from NOAA, Rookery Bay, and many more. For more information on the project, or to view the Paradise Reef documentary film, visit www.paradisereeffilm.com. It was just over three years ago that the Economic Recovery Task Force (ERTF) joined with Peter Flood, a local attorney with a big idea, developed a business plan, and worked with local government agencies to apply for and secure 1.3 million dollars in private BP grant funds. An additional $565,000 in private donations was administered through Community Foundation of Collier County. These funds fully funded the artificial reef project; no taxpayer funds were utilized. The project is anticipated to generate an estimated $30 Million dollars annually and will create vital marine life habitats to an otherwise barren, sandy bottom.